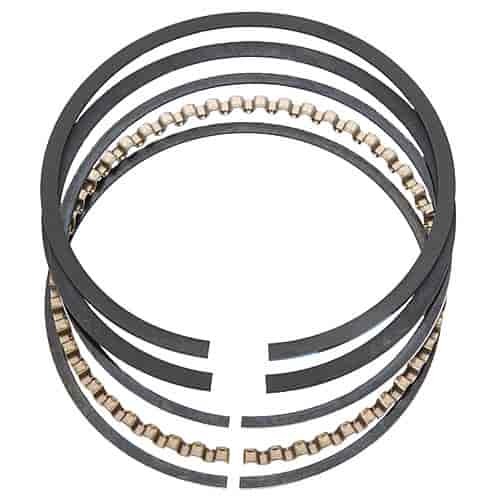 Total Seal Conventional TNT Piston Ring Set Bore Size: 4.065"
Total Seal's Conventional TNT Piston ring Sets feature centrifugally spun, heat-treated ductile iron top rings. They are specifically designed to withstand the explosive rigors of nitrous oxide and forced induction environments. These ring sets are quick seating, easy on the cylinder walls, and available with optional PVD face coatings for further reductions in friction and increased wearability.